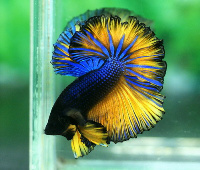 Tropical Fish International (TFI) is a breeder, importer and exporter based in Sri Lanka, and a distributor of Live Tropical fish and related products, incorporating forward looking IT Solutions, to help our customers reduce overheads & increase margins-contributing to the customers bottom line. We are guaranteed to offer high quality aquaria to master distributors, chain stores, distributors and retailers at the most competitive price with optimum packs designed to reduce freight costs. We bring together our operations in multiple countries Sri Lanka, Thailand and USA, to source & distribute a vertically integrated structure to ensure our customers receive Betta & Betta related products with the highest quality standards at the lowest possible prices. TFI strives to continuously improve on the current best practices to deliver healthy, sustainable and profitable products to our customers. Every time we are Building long term relations in our goal! 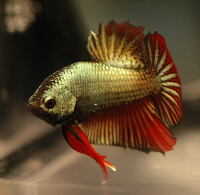 TFI was established in 1991, has been supplying live aquaria to retailers, wholesalers and distributors for over 20 years. We run our own farms in Thailand and Sri Lanka, and have close partnerships with breeders and collectors across the globe. Our experience and flexibility allows us to accommodate customers of all sizes, from the local wholesaler to 1000 store chains. Our global supply chain and technological abilities result in numerous savings that we are happy to pass to our customers in the form of competitively priced quality aquaria. TFI has the best prices on the most popular species and can tailor custom pricing and shipping programs to fit your needs. 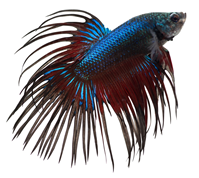 The Betta Exchange is a sub product of TFI and its main target is to facilitate better e-commerce infrastructure to our customers to bring up the sale of Betta and Betta related products. 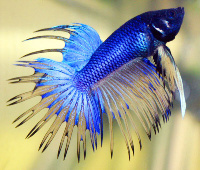 We offer a full spectrum of Betta & Betta related products. Copyright © 2013.Teknowledge Share Services (Pvt) Ltd.All Rights Reserved.